By combining experimental and simulation techniques, researchers found that hydrochloric acid (HCl) does not dissociate as expected, but rather the hydronium and counter ion (Cl-) are paired across a range of concentrations. These findings could improve our ability to characterize ion-pair intermediates, which are involved in the chemistry of everything from human bodies to batteries. Copyright 2014: American Chemical Society Enlarge Image. Results: When hydrochloric acid is added to water, the positively and negatively charged ions don't flee from each other, according to scientists at Pacific Northwest National Laboratory and Argonne National Laboratory. Conventional wisdom said the ions quickly separate; however, the separation is based on how acids behave in low concentrations. 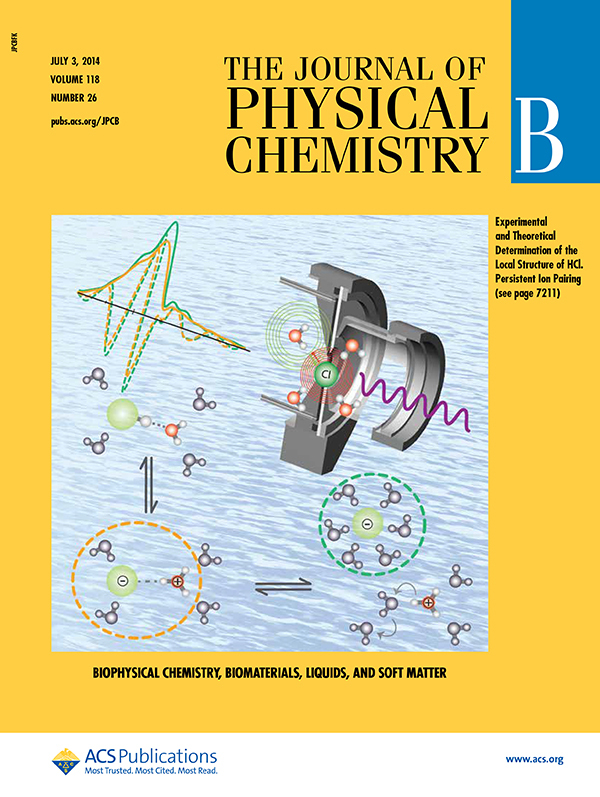 Here, scientists used laboratory experiments and computational simulations to determine that the negatively charged counter ions or Cl- and the positively charged hydrogen ions or H+ stick closer to each other than expected in liquid water. "Acids didn't dissociate to the extent that we expected. Here, we attempted to describe this with the concepts of activity. We are probing this concept experimentally and with theory and simulation," said Dr. Gregory Schenter, a PNNL chemist who modeled the experimental results. "It may be necessary to recast these concepts in freshman chemistry texts based on our improved understanding." Why It Matters: Whether inside tiny batteries or massive oil refineries, acid dissociation plays a vital role in the ongoing reactions. The behavior of the hydrogen ion, which quickly associates with water to become hydronium ion or H3O+, has been routinely studied, as it is this part of the acid that does the work, such as corroding metals. However, the fundamental properties of counter ions surrounded by liquid water have not been thoroughly studied. This study provides new details about counter ions' behavior and could help scientists design energy storage solutions and mitigate climate change. "If we can identify or characterize the ion-pair intermediates, we can predict and understand chemistry in concentrated, non-ideal solutions. These are involved in the chemistry of many things, from human bodies to batteries," said Dr. Christopher Mundy, a physical chemist at PNNL who co-authored the study. Methods: At PNNL, Schenter and his colleagues have delved into ion pairs for the last 15 years. They began by detailing the behavior of simple ions and have now moved on to hydrochloric acid and other reactive species. "In many ways, this is the simplest of acids," said Dr. Marcel Baer, a PNNL chemist who co-authored the study. "Yet, the findings are complex and provide new insights into acid/base chemistry." The team examined low, medium, and high concentrations of HCl (2.5, 6, 10, and 16 m HCl) in liquid water using both laboratory experiments and computational calculations. 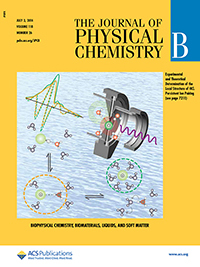 They combined extended X-ray absorption fine structure, neutron diffraction, and X-ray diffraction measurements using a powerful light source with state-of-the-art density functional theory simulations. They found that the Cl-···H3O+ ion pair structure persists throughout the entire concentration range studied. These structures differ significantly from those studied in the gas phase. The team used beamline 20-BM for the X-ray diffraction studies at the Advanced Photon Source at Argonne National Laboratory. They did the simulations at National Energy Research Scientific Computing Center, located at Lawrence Berkeley National Laboratory. What's Next? The team is now delving into more complex ions. "More complex ions may be readily tuned to do what we want," said Schenter. "We must get them together at the right time and in the right place and at the right fraction for ideal syncopation. The dance must go as we want so that the battery will behave as we want." Sponsors: This work was supported the U.S. Department of Energy (DOE) Office of Science's Office of Basic Energy Sciences, Chemical Sciences, Geosciences, and Biosciences Division (JFL, GKS, CJM) and the Linus Pauling Distinguished Postdoctoral Fellowship Program at PNNL (MDB). PNC/XSD facilities at the Advanced Photon Source and research at these facilities (MB) are supported by DOE Basic Energy Sciences, a Major Resources Support grant from the National Energy Research Scientific Computing Center, the University of Washington, the Canadian Light Source, and the Advanced Photon Source. Use of the Advanced Photon Source was supported by DOE.